Back pain – specifically low back pain – is the leading cause of disability worldwide. And one of the most common reasons for back pain is a herniated disc, also referred to as a slipped disc or disc prolapse. Individuals with a herniated disc often experience mild to moderate pain, numbness, and even weakness in the limbs. While many people think pain medication or surgery are the only way to treat disc problems, that is not the case. In fact, research has shown that visiting a chiropractor is one of the best ways to treat a herniated disc. For many, the symptoms surrounding a herniated disc go away on their own within a handful of weeks. However, this isn’t always the case. If you are someone who is experiencing pain or discomfort because of a problem with one of your discs, you may want to consider coming for a chiropractic adjustment. Chiropractors specialize in helping patients with back pain, whether from a herniated disc or other problem. If you have any questions or would like to learn more about the benefits of chiropractic before getting an adjustment, please contact Premier Injury Clinics of DFW today. Before we can look at how a chiropractor can help with a herniated disc, we must take a closer look at what a herniated disc really is. The spine is comprised of 33 bones; seven in the cervical region, 12 in the thoracic area, five in the lumbar region, five in the sacral area, and four in the coccygeal region. Only the top 24 bones are moveable and at-risk of a herniated disc. The discs are the flat, round pads that are found between each vertebra. They are basically shock absorbers, if you will. 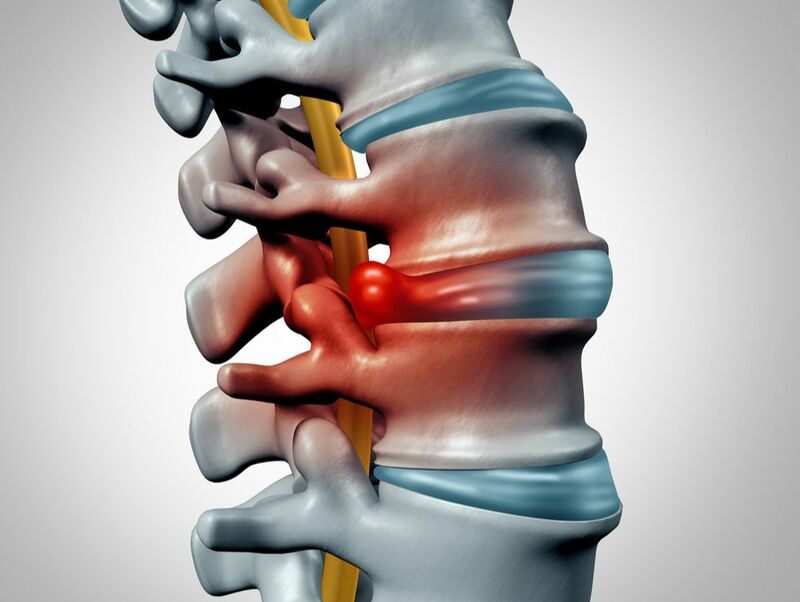 When one of these discs is put under pressure either from the bone above or below, it can lead to a herniated disc. We most commonly see herniated discs in the lumbar (lower) spine, but they can also occur in the thoracic or cervical spine. Have the muscles lost any strength? Are there any other signs of nerve damage or compression? Once we are able to determine whether you have a herniated disc and, if so, what type of disc injury it is, we will come up with a treatment plan that works best for you. In most cases, the plan we will develop will include spinal manipulation and a handful of other techniques. Because we treat the whole body, these techniques aim to address your pain and find the root of the problem. In addition to a spinal adjustment, you may need to undergo manual therapy and active exercises to help your body heal. Heat/cold therapy, hydration, joint mobilization, massage, neuromuscular re-education, and other modalities may also help with a herniated disc. To learn more, please contact any one of our five clinics today.